After trying out everything from flight and bus tickets, and the sale of gold, India’s two premier e-commerce companies have their next battleground ready — mutual funds. Months after Paytm debuted its mutual funds buying platform Paytm Money, Flipart has said that it’s looking to enter the space as well. PhonePe, the financial arm of Flipkart, will soon start selling mutual funds through its app. 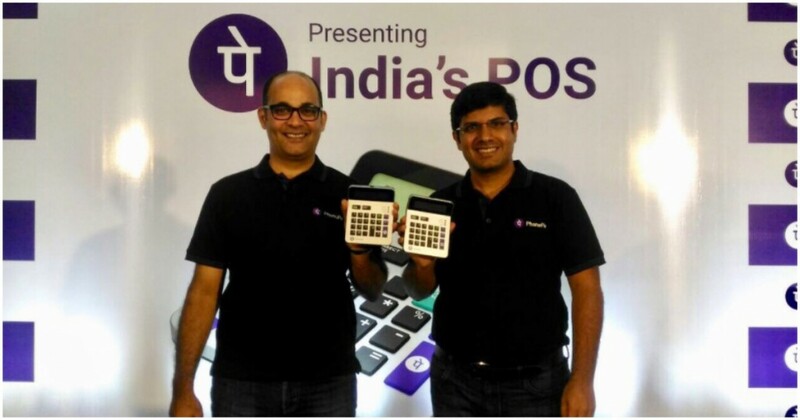 PhonePe said that this new vertical would tap into the growing customer base of millennials and help them manage their wealth. PhonePe has set up a new entity, called PhonePe Wealth Services, for the new business. PhonePe’s regulated businesses like its UPI and mobile wallet will run under the old entity, while its wealth management arm will work under PhonePe Wealth services. PhonePe CEO Sameer Nigam said that PhonePe would build the financial services business through partnerships with existing players instead of doing a lot of the work in-house. In comparison, Paytm had created a standalone team based out of Bangalore for its mutual funds arm. The entry of mobile wallets into the mutual funds business is a natural progression for wallet companies, who’ve acquired large userbases through their payments business. But the payments business in India is fragmented — there are several large players who’re all competing for the same payments pie. In addition, UPI has essentially brought all UPI apps to an even keel — a new UPI app starting off today will be accepted at all places where UPI is accepted, leaving older players like Paytm and PhonePe with little competitive advantage. Payments companies have realized that they can’t make any money off providing payments services, so they’ve moved on to the next best thing — leveraging their existing userbases to sell them high-margin financial products. Payments products have extensive data on the finances of their users, and can use it to pitch them services like insurance and credit cards. Mutual funds, until recently, were difficult to invest in, and several startups have sensed a market in making them a popular investment choice for young users. But PhonePe won’t have it easy. Apart from Paytm, which already has a lot of buzz around Paytm Money, there are several other companies that are now in the mutual funds business. Zerodha, which recently became the largest broker in India, has a slick, high-tech, and no-fee platform called Coin which lets users invest in mutual funds, and Times Internet has its own app in ET Money. Apart from these, there are smaller startups like Groww which aim to make mutual fund investments easier for the end user. Flipkart, though, now has the resources of Walmart behind it, and presumably not want to miss the mutual funds bus. It’s late to the game, but if it can build a solid product at the right price, could end up pulling some users. At the end of the day, India’s mutual fund investor might just end up being the winner — with so many highly-funded companies all vying for his attention, there’s probably never been a better time for new users to dip their toes into the world of stock market investing.